Offering lightweight yet buildable coverage in 24 skin-true shades, this versatile foundation is designed to suit every skin type and tone. With an oil-free yet creamy and comfortable formula that dries down to a long-lasting, demi-matte finish, it won’t settle into fine lines or cling to dry patches. Housed in a luxe glass bottle with a jumbo doe-foot applicator for greater control and less waste, this foundation offers highly pigmented coverage that can be layered or diffused to suit your look. Swipe on and blend out to ramp up the coverage for a ‘real skin’ finish that diffuses blemishes and uneven skin tone. Or let your complexion’s natural character shine through using a small amount with a damp beauty sponge for veil-like coverage. Follow with your favourite shades of Conceal & Define Concealer to highlight, contour or conceal. VEGAN. 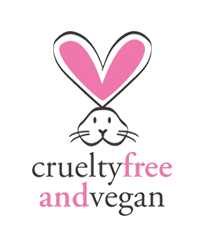 CRUELTY FREE, PARABEN FREE, OIL FREE. Swipe on wherever you want coverage using the doe foot applicator. Blend out using a synthetic brush or damp blending sponge. For added staying power, finish with a setting powder and fixing spray to lock your makeup in place all day.